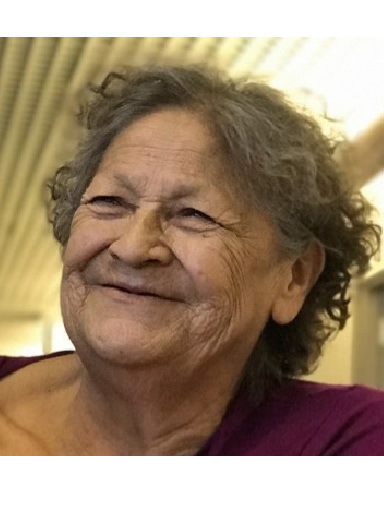 Marjorie, born on Fishing Lake First Nation, passed away peacefully with her loving family at her side on April 16, 2019 at the St. Josephs Care center in Lestock, SK. She was predeceased by her loving husband Mervyn Wolfe, parents Philip Slippery and Clara Young; sisters Gertrude Bartram, Mary Slippery, Audrey Slippery; brothers Raymond and Douglas Slippery. Marjorie is survived by her sister Yvonne Slippery; brothers Willard and Kenneth Slippery; daughter Valerie (Joey); sons Barry (Iris), Derek (Janice); special nephews Christopher, Merlin and Robert; special niece Thona (Barry); grandchildren Kaydee, Ryland (Briana), Chelsea (Dale), Barry Wolfe Jr., Ashley (Jordan), Alexis, Destiny and Jaxon; great grandchildren Hayden, Maverick, Lacey, Cameron, Adrienne, Aaron, Gia, and Nigel.